NDC Inc has developed a complete HMI batch weighing software package that is specifically designed for dealers and contractors that specialize in customizing and manufacturing computerizing feed-mill batching systems. 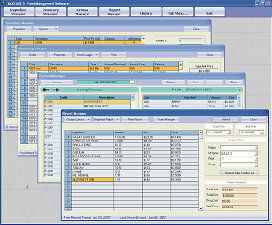 The graphical software is designed for interfacing an Standard computer with a Rice Lake 920i scale indicator with an industrial PLC. This in turn makes a system that is extremely flexible and cost effective. The software is specifically designed for the feed industry and includes the Maximix feed management software. 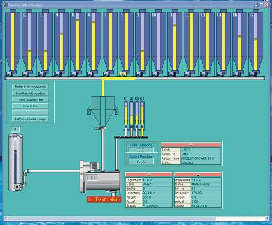 Complete computerized feed batching systems with the graphical PCM batching software are available for end users from our dealers in US and Canada. The Maximix feed management software was designed for improving labor efficiency, accuracy and profits in both modern feed mill and livestock operations. The software offers ingredient price management, real-time inventory control, formulation management, as well as feed cost and feed usage reporting. Other features include raw ingredient and finished feed traceability, importing formulas from least cost formulation programs, transferring feed records to QuickBooks® accounting, ordering products with purchase orders and printing customized mixing sheets.